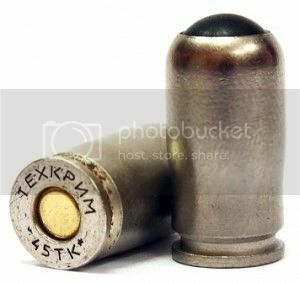 After coming across this post at the Firearms Blog about a new big-bore rifle load called the .366 TKM, I looked up Techcrim (Техкрим) and found several good images at their website techcrim.ru Some headstamp images as well. Interesting to see the .45 Rubber ball rounds are made from re-primed Remington cases made in 1942. 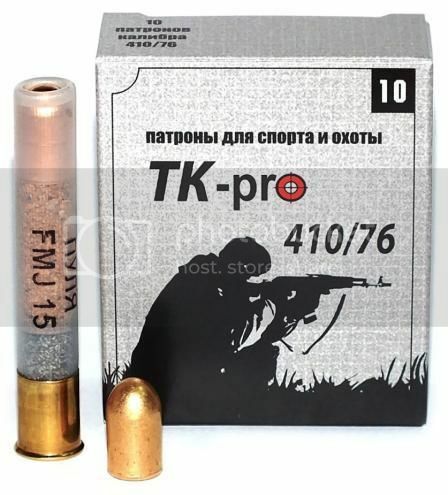 They also make some ‘normal’ cartridges like 7.62 Tokarev! Sorry, but I’m no good at modifying pics. 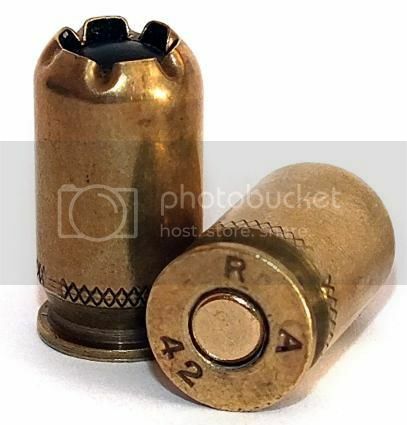 Would those be tool marks on the 45 Rubber case? And if they are not tool marks, do they serve any purpose with case ejection perhaps? Dave, it could be a forensic marking to tell these cases apart from life loaded ones. 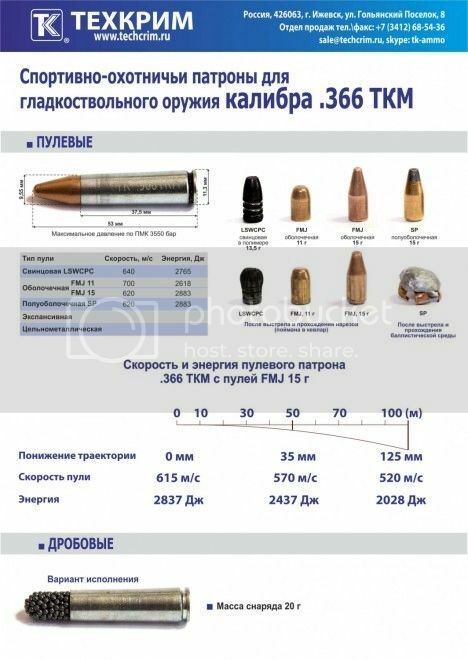 In recent years the Russian govt is keen on such stuff when it comes to privately owned weapons in military calibers. the 7.62 tokarev is factory loaded ? nice to see a nickel or zinc plated case ,brass or steel ? 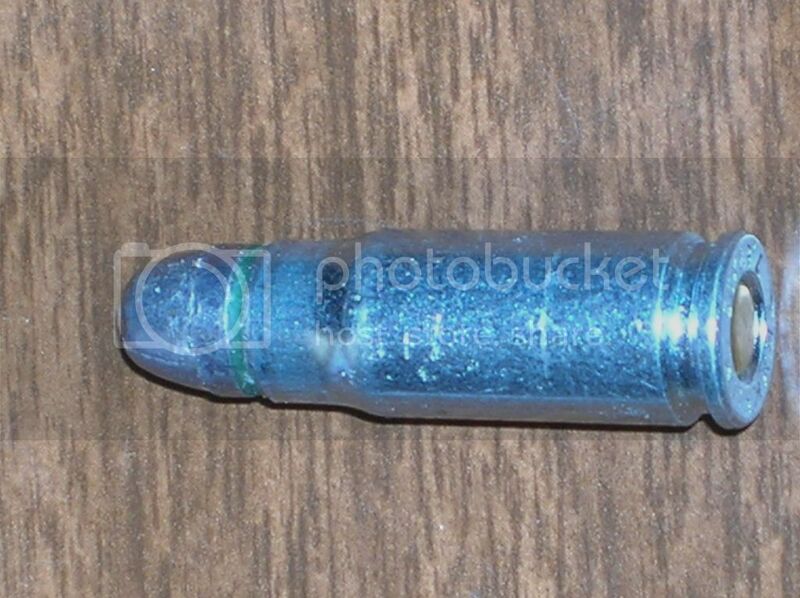 and with lead bullet ? EOD, that makes complete sence. I guess the old fashioned blackened case wasn’t suffice for the gov’t. Basically it is a factory load utilizing surplussed components from broken down cartridges. 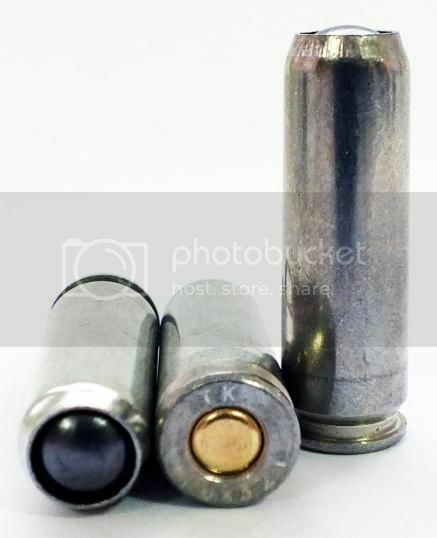 These are zinc plated steel cases and are made from surplus 5.45x39 or 7.62x39 (the latter seems to be the likeliest - regardless the different head diameter). 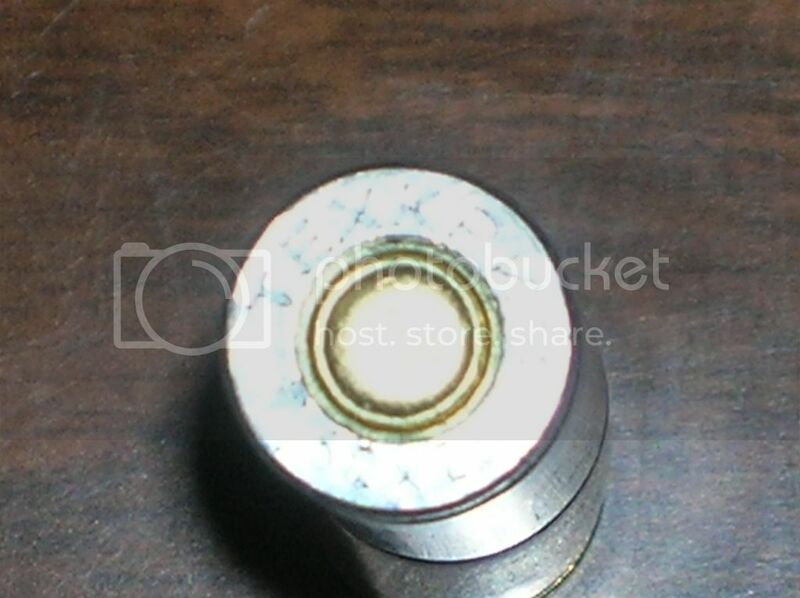 There are LRN bullets as in that image above and also some black laquered (teflon?) ones. 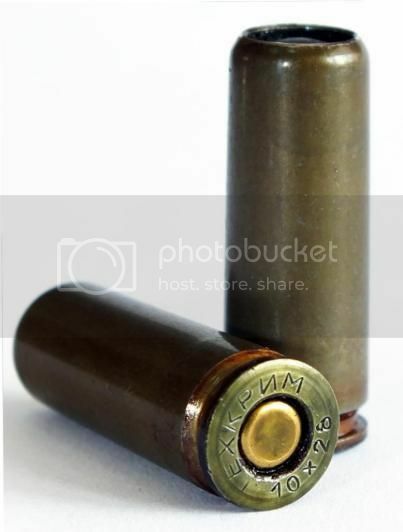 Their last load comprises of a 7.62x39 standard “PS” (FMJ with iron core) bullet with cut off tip and zinc coating which is seated reverse. The first cartridges they made had newly applied (stencilled) headstamps but the last ones have none (plain after turning down the original one) and feature a laser marking on the case wall. Yes on the lead bullet on the Tokarev round, but the case is pretty shiny, so I would call it nickel steel. The hearstamps are pretty light, as you (can’t!) see in the pic, so Alex’s info on recycled cases might be correct. Jon, nickel should have a different color (and too expensive for this recycled low budget - low quality stuff). You may compare the case finish to other specimen you may have on hand. Ventura Munitions specializes in top quality ammunition for sale at discount prices, stocking a wide variety of loads from the finest manufacturers including great cheap bulk ammo, frangible, hunting, home defense, and match loads. It would be interestring to see the slug itself. 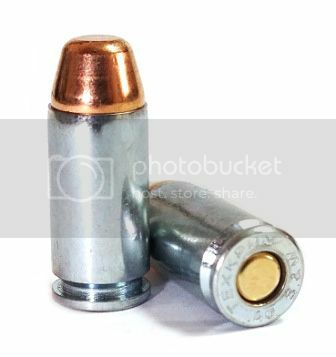 As zinc is kinda brittle in this role I wonder how good some hollow point slugs would do (maybe with grooves to create the right size of fragments). Could give some good wound ballistics. 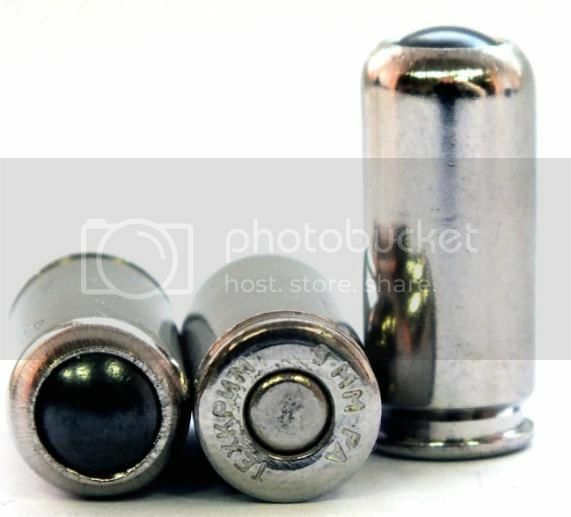 I received some of these zinc 12ga slugs recently and have photos. The one surprise was the red rubber ball which is nested in the hollow base of the slug. 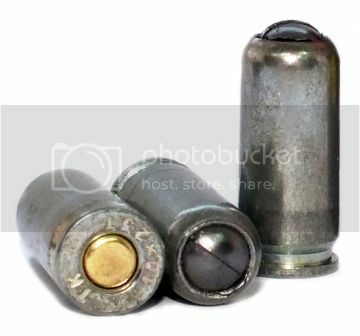 The main portion of the slug is definitely patterned on the Lyman 525 type slug in shape, and they all seem to have a small cut-off ding on the top of the slug where these look to have been knocked out of a cast or from a sprue. The powder is unremarkable and there was 26gr of it, while the slug itself weighed in at 303gr (19.65 grams), or, if counting the red rubber ball in the base: 314gr (20.35 grams). So the ball is 11gr, and I assume has something to do with encouraging a clean release from the wad upon exiting the barrel, or maybe in recoil dampening so that the wad is not fractured upon firing? The headstamp is an unremarkable 12★12★12★12★ generic.